Use the RACES strategy to teach or review response writing. 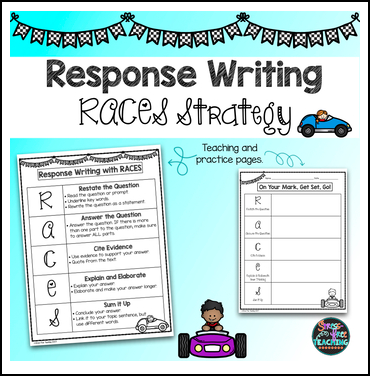 This freebie set can be used in multiple ways in your classroom. Use it to teach or review the concept, include the pages in interactive notebooks, and use as a template to answer constructed responses.